From first class jaunts to domestic hops, we show you the ways to get maximise value from a haul of 60,000 Qantas Points. All flights are bookable via the Qantas website. The Qantas and Emirates partnership allows Qantas Frequent Flyers to book Emirates award flights via the Qantas website. With just 54,000 points, you could fly one way between Melbourne, Sydney or Brisbane and Auckland on the iconic Emirates A380. Depart from Melbourne and enjoy pre-flight access to the Qantas First Lounge. Dine on a seasonal a la carte menu designed by Neil Perry and enjoy a complimentary spa treatment. 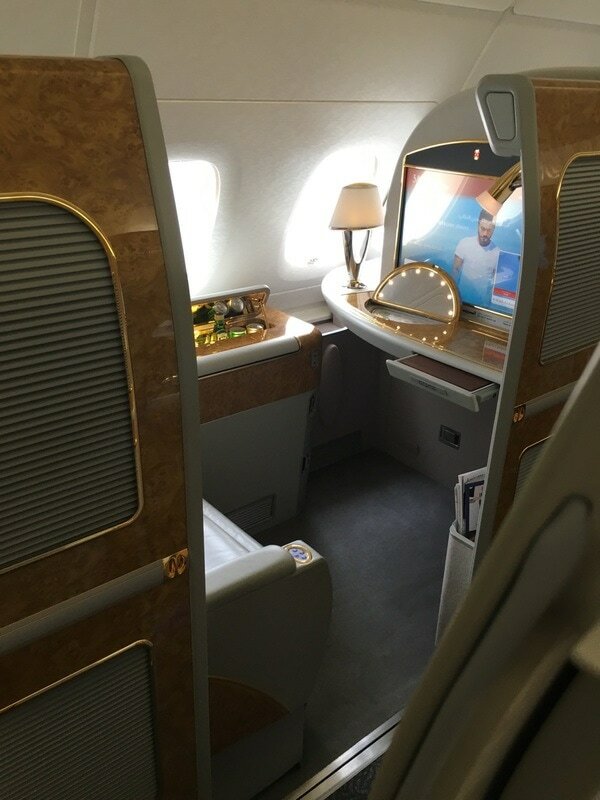 Then, step into the Emirates A380 and enjoy a full meal service and Dom Perignon Champagne in your very own first class suite. Fancy ticking a mile high shower off your bucket list? You can book in a 30 minute session (with 5 minutes of water) shower suite during your flight. Tip: First class Bvulgari amenity kits and pyjamas aren’t generally offered on trans-Tasman routes, but the crew will provide them upon request. You’ll need to hurry to book this redemption – Emirates has announced that they’ll suspend flying this route in March 2018. Award seats for the highly anticipated, direct Qantas Dreamliner service from Perth to London are expected to be released within days. The 17-hour Boeing 787-9 Dreamliner flight will save passengers three hours getting to and from London. 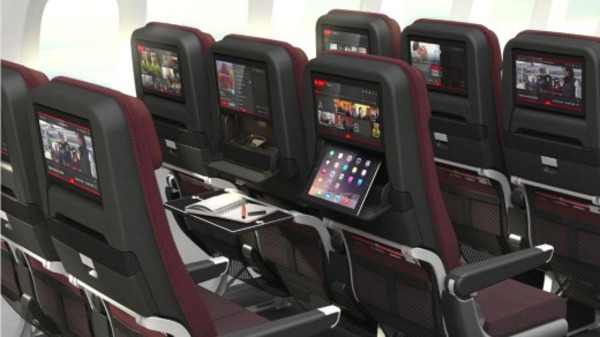 Economy seats will feature an extra inch of seat pitch (compared with a Qantas A380 superjumbo) for 32 inches of legroom. There is also a new personal device holder, additional storage and seat back mood lighting in order to minimise disturbance to other passengers. The first direct flights from Australian cities to London via Perth comes in at just 60,000 Qantas points in economy class. The new Qantas Dreamliner economy seat. Will you be amongst the first to experience it? Qantas flies daily between Sydney and Hong Kong on the A380 and A330. A one way flight in business class is yours for just 60,000 Qantas points. 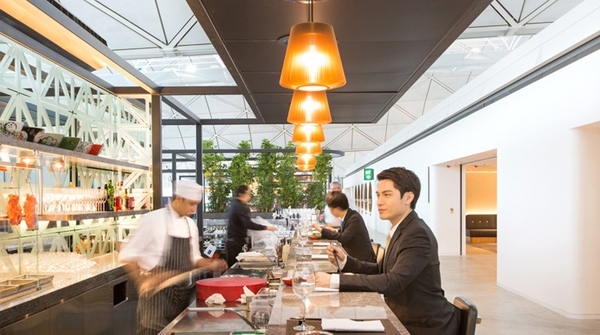 Depart from Hong Kong for a chance to visit the new Qantas Business and First Class lounge. With Neil Perry overseeing the menu, you’ll want to sample the signature char siu barbecue pork. Perhaps you’ve booked a trip to the States, and you’d like to tack on side trip to Europe? Easy done! You can book direct flights from New York to Madrid or London in economy with Qantas partner and British Airways subsidiary Iberia Airlines for just 56,000 points return. 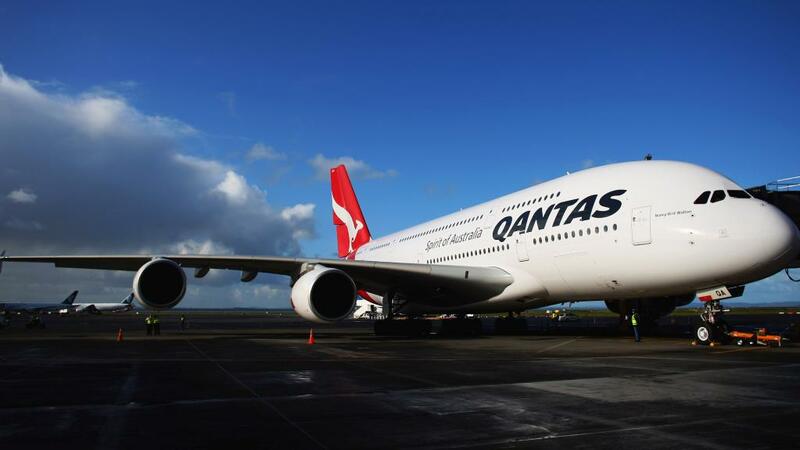 Qantas flies daily between Melbourne / Sydney and Los Angeles on the A380 and will shortly introduce the Dreamliner. A one way ticket on this popular long haul flight comes in at just 45,000 points. Have a few more points to spare? Booking the award flight in premium economy will cost you just 72,000 points. Qantas domestic flight redemptions can offer limited value, however there are a few gems available. One of these is flying to the beautiful tropical paradise of Lord Howe Island via Sydney on Qantaslink. 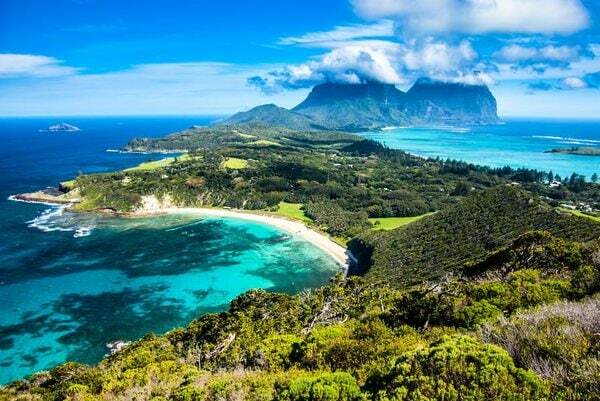 Flights to Lord Howe Island are usually advertised for purchase for over $500 one way, so bagging three return flights for 48,000 points (or just 8,000 points for each individual ticket) ex Sydney represents excellent value. You’ll need to book well ahead, as availability is very limited.